WE, JS MOTORSPORTS EMPLOYEES, CUSTOMERS, AND COMMUNITY PARTNERS FULFILL LIFETIME DREAMS AND MEMORIES THROUGH EMPLOYMENT, CUSTOMER DEALERSHIP EXPERIENCE, PERSONAL IDENTITY, AND MOST IMPORTANTLY- RIDING A MOTORCYCLE! We are always working hard to make sure our team is focused on you, our customer. 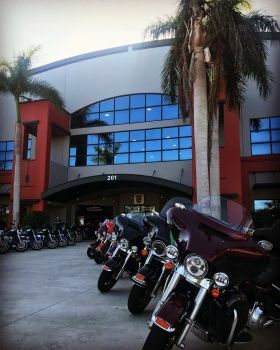 To that end we have one of the most experienced group of techs providing you service, sales associates that know how to meet your needs, parts associates that understand your bike and MotorClothes® merchandise associates that know what's best for the gear you want. Most important, we make sure we have the bikes you want and additional services and products to enhance your riding experience. 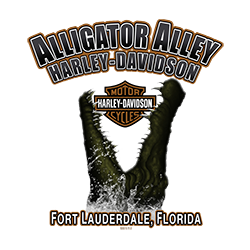 Our bike inventory is among the largest in Southern Florida for new and used motorcycles - we understand that you want a bike, and we want to put you on it, and now! Our dealership has an active events calendar year round to keep you riding, educated and having fun with your Harley-Davidson®.